It’s no wonder the Australians have such a lively surfing culture, with so many of the world’s best, most pristine beaches. From Bondi and Bells beaches to the Gold Coast, the need to step outside and escape the summer heat is satiated by exploring the bright, turquoise waters. Deserts like the Great Victoria Desert, at a staggering 263,700 square miles, offer beautiful scenic routes through the most majestic, ethereal landscape. In the Great Victoria Desert in particular, one can view the famous Uluru – also known as Ayers Rock – a strange, mountainous wonder of red rock. If being a history buff is your thing, you’d know already that the US and Australia have been allies through some arduous historic milestones. They both, additionally and in general, have incredibly rich and controversial national histories. In Canberra, one can visit the famed Australia War Museum. Conceived of and constructed through the duration of Word War I, the museum has been added to over the years for a complete, interesting and robust walkthrough of Australia’s past. Australia’s largest, most luscious casino is the Crown Casino and Entertainment Complex located in Melbourne, Victoria. It boasts fifty poker tables, 2,500 gaming and video poker machines and 399 table games. If the travel to Australia is too far (or your closest casino! ), you can always try Euro Palace table games online. Considering the politics of the country you’d like to visit is not something that always comes to the forefront of making your happy holiday decision. The way the country operates, in some cases, can ruin your carefully planned holiday with certain limitations including dress code and access. 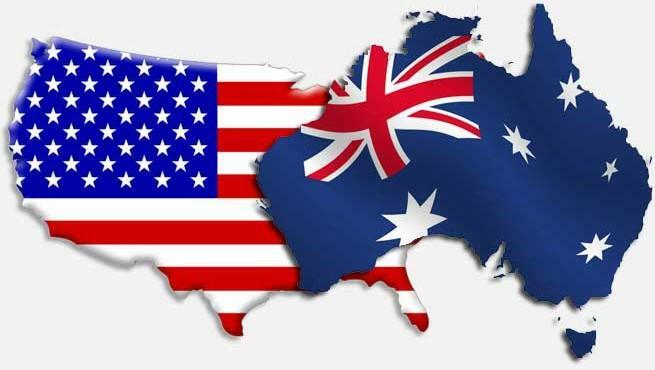 Australia, politics-wise, is a wonderfully liberal and smooth transition from American values. The English language has evolved in many interesting ways across the world. While the US boasts the most influential and widely-used slang in popular culture, Australia embraces perhaps the most entertaining and odd. From “big smoke,” a term that denotes a big city, to “mystery bag,” slang for a sausage, the innate sense of humour amongst the Australian people is contagious. The flora, fauna and animal-life is something curious and exciting to behold. From the Spotted Handfish, which walks on its hand-shaped fins, to the Flying Duck Orchid,which has a distorted lip to resemble a female wasp, and even more remarkably, it releases an insect pheromone so that it also smells like a female wasp to attract its pollinators. Life in Australia is vastly diverse to the point where it may even seem invented from the most vivid imagination. Much like the US, Australia is ostensibly a “Westernised” country – similarly, a result of the British occupation in its history bringing literature, art, music and religion to the nation. The main religion is Protestantism, the same as the USA, and much of the same Westernised tastes permeate the everyday life in Australia. There is a booming homegrown film industry that gets frequent international recognition, as well as one of the best, most talented popular music scenes in the world. In essence, having a country to visit that has many similarities to one’s own may not seem like a fantastic investment in one’s experiences, however, it’s definitely worth mentioning that Australia is certainly a unique, strange, awe-inspiring country that celebrates these similarities in its own bizarre fashion.